Approximately thirteen years ago, a man named Benjamin “Bibi” Netanyahu, the then current Prime Minister of Israel appeared on our shores loaded down with every intention of telling both houses of congress and the Bush administration itself, all about the evils of Saddam Hussein’s WMD program. His hair was white and he gave a rousing, impassioned speech about this devil incarnate, and how we must root him out and prevent him from using his WMD arsenal to destroy every freedom loving soul in the free world! That was 2002. Now we’re up to 2015. His hair is silver gray now, (possibly due to a careful application of Grecian Formula). His enemy has morphed into Iran and Bebe still needs our muscle (as well as a little help getting reelected)! The speech is nearly the same, the fire burns just as bright, and our stellar politicians filled those seats to give him their full attention with little or no memory of the fact that the last time we did this, his words (along with those of Bush, Cheney, Rumsfeld etc.) helped us to enter into one of the most misdirected and costly bloodbaths our nation has ever known! He gave a compelling speech. Then, he spent additional time telling one and all, how his plan would work a nd how President Obama’s plan wouldn’t! Bibi’s a pretty slick salesman, and it’s a good thing he finished when he did because I believe some of those brilliant politicians (Boehner included) actually bought his story and might still be buying it for all I know! 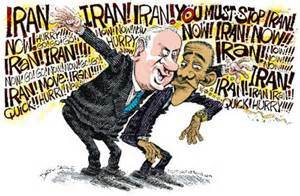 In retrospect, President Obama, in his usual calm and measured way, did not disclose his opinion of Bibi’s opinion! So much for Bibi. 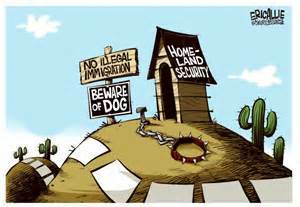 On the home front, after a couple of months of blowhard and bluster, the republican party quietly closed up shop and signed on to a “clean” one year Department of Homeland Security financing bill, with no strings attached. TV news anchors were appalled at how quickly the Boehner team folded, and immediately went roaring out with their hair on fire, in search of another “sky is falling” story. Something completely different I feel is worth mentioning this week is that the Denver Musicians Association Local 20-623 is putting forth an effort from the MPTF (Musicians Performance Trust Fund) to have solo performers go out into specified neighborhoods and entertain or simply perform music for those who can least afford it. Obviously, this sounds like a lot of personal horn tooting, but before we make too much of the the idea that someone is actually trying to improve things and brighten the day of those less fortunate with a little musical entertainment, you also have to ask the question, “if not us, then who?”I believe that’s exactly what the Denver Musicians Association did. They put their money where their mouth is, and they’re undertaking a program of lifting up those who are having a tough time and can’t afford it as well as those who can. Who said compassion is dead? This week is also the 50 year anniversary of Martin Luther King leading a group of civil rights activists on the “Bloody Sunday” march across the Edmund Pettus bridge in Selma Alabama. Do we need any reminders of how that turned out? It is also the same week the Justice Department looks into the police shooting of a high school kid named Michael Brown in Ferguson Missouri. They did this obviously, to ascertain if his civil rights were violated and what seems totally strange to me, it feels like it’s almost as if his death is God himself reaching out and offering us a sign to indicate just how far we really haven’t come! If you expand on that premise a little, then the orchestrated TV performance following the committee’s findings by the mayor of Ferguson, and the tepid whitewash of the facts that he gave, are simply an indicator of how far we have yet to go in order to make this the equal society and land of milk and honey that we spend so much time trying to convince ourselves it is! This entry was posted in Uncategorized and tagged Affordable Care Act, big oil, Bloody Sunday, Bobcaygeon Ontario, Edmund Pettus Bridge, emails, Ferguson MO, fracking, HIGHLAND TRAIL Denver Colorado, Hillary, Music Practitioners, Netenyahu. Bookmark the permalink. You speak the truth. It seems everything is okay if we simply pretend there are no problems. I was labeled a traitor this week by a commenter on Facebook in response to my comment to our State senators about signing that stupid letter. We have 47 of our elected officials blatantly undermining talks among the UN Security Councel and our own government and I’m the traitor. Well, I am in good company because I have yet to see a reasonable support of their action by any of the Tea Party or any other Republican group. Thank you for reminding me and all who read this about BeBe and the WMDs Iraq didn’t have. Aaaaargh! Thanks. I needed that.